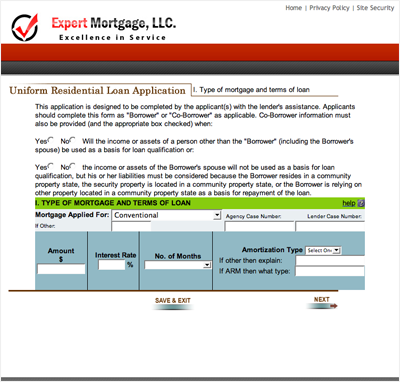 No website is complete without the Uniform Residential Loan Application and the Express form! Configure your Virtual Lender with the full Secure 1003 Application or the Secure Express Pre-qualification Form, or both! Each application can be turned on or off with a click of the mouse! 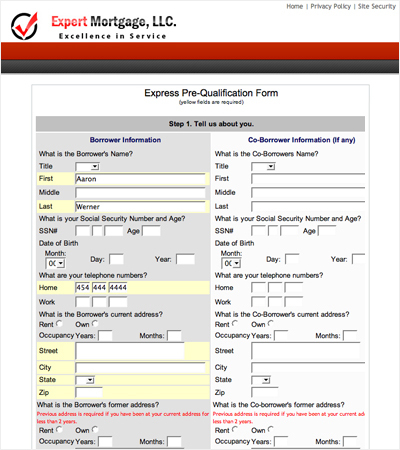 A complete laser quality blank .PDF version of the 1003 application is available to the borrower on your Virtual Lender "Apply Online" application login page. When your clients submit the loan application on your website, the Virtual Lender System will send them a thank you email and notify you of the new application, by sending a message to your email address or web enabled cell phone. The 1003 application also allows your clients the ability to begin the application process, save the started application and return again later to complete it. You are notified of all submitted and started applications as well as application login leads. 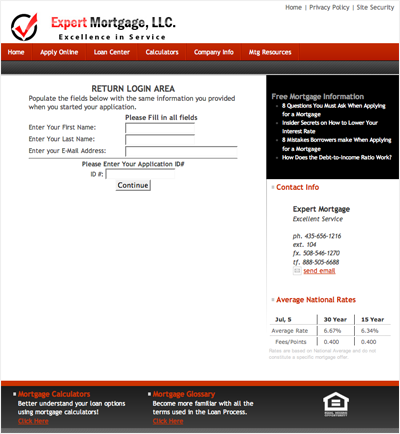 In addition to completing a saved application, your clients can login into their Express Application and convert it to a Full 1003 and add any additional missing information. Both the 1003 and the Express application can download to the majority of loan processing software such as Calyx Point, Encompass, Byte or Pipeline Solutions. Not only is the Secure 1003 application included with your Virtual Lender Website, but we have added the ability for the application to import seamlessly into major loan processing software. Saving you countless hours of having to re-input this data manually. Downloading an application into your loan processing software is a snap! We have made it so easy that it can be done in a matter of seconds! 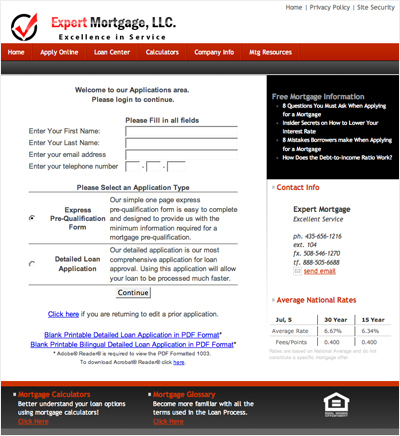 Never again will you have to waist your time with the old “Cart and Buggy” method of loan applications.